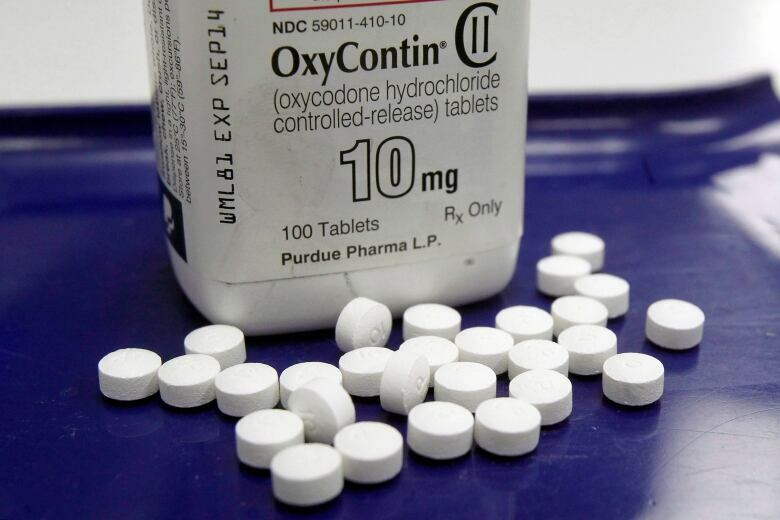 OxyContin maker Purdue Pharma LP explores filing for bankruptcy to address potentially significant liabilities from roughly 2,000 lawsuits alleging the drug manufacturer contributed to the deadly opioid crisis sweeping the United States, people familiar with the matter said on Monday. OxyContin maker Purdue Pharma LP is exploring filing for bankruptcy to address potentially significant liabilities from roughly 2,000 lawsuits alleging the drug manufacturer contributed to the deadly opioid crisis sweeping the United States and Canada, people familiar with the matter said on Monday. The potential move shows how Purdue and its wealthy owners, the Connecticut-based Sackler family, are under pressure to respond to mounting litigation accusing the drugmaker of misleading doctors and patients about risks associated with prolonged use of its prescription opioids. Purdue denies the allegations, arguing the U.S. Food and Drug Administration-approved labels for its opioids carried warnings about the risk of abuse and misuse associated with the pain treatments. Shares of Endo International PLC and Insys Therapeutics Inc, two companies that like Purdue have been named in lawsuits related to the U.S. opioid epidemic, were down more than 12 per cent and more than five per cent, respectively, on Monday. More than 1,600 lawsuits accusing Purdue and other opioid manufacturers of using deceptive practices to push addictive drugs that led to fatal overdoses are consolidated in an Ohio Federal Court. Purdue has held discussions to resolve the litigation with plaintiffs' lawyers, who have often compared the cases to widespread lawsuits against the tobacco industry that resulted in a $246 billion settlement in 1998. A Purdue bankruptcy filing is not certain, the sources said. The Stamford, Conn.-based company has not made any final decisions and could instead continue fighting the lawsuits, they said. "As a privately held company, it has been Purdue Pharma's longstanding policy not to comment on our financial or legal strategy," Purdue said in a statement. "We are, however, committed to ensuring that our business remains strong and sustainable. We have ample liquidity and remain committed to meeting our obligations to the patients who benefit from our medicines, our suppliers and other business partners." Last year, a judge ruled the company's Canadian arm owed $20 million Cdn in damages to hundreds of families in the country, but a judge in Saskatchewan decided the financial figure was not enough. Purdue faces a May trial in a case brought by Oklahoma's attorney general that, like others, accuses the company of contributing to a wave of fatal overdoses by flooding the market with highly addictive opioids while falsely claiming the drugs were safe. Last year, U.S. President Donald Trump also said he would like to sue drug companies over the opioid crisis. Purdue hired law firm Davis Polk & Wardwell LLP for restructuring advice, Reuters reported in August, fuelling concerns among litigants, including Oklahoma Attorney General Mike Hunter, that the company might seek bankruptcy protection before the trial. Massachusetts Attorney General Maura Healey in June became the first attorney general to sue not just Purdue, but Sackler family members. 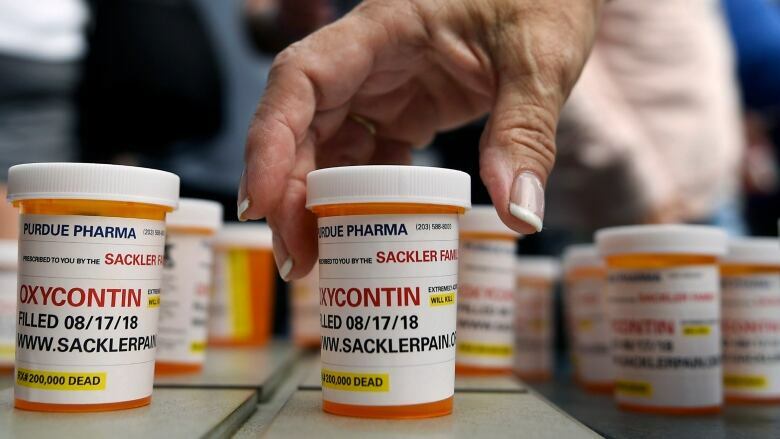 Records in her case, which Purdue has asked a judge to dismiss, accused Sackler family members of directing deceptive marketing of opioids for years while enriching themselves to the tune of $4.2 billion. Some other states have followed suit, also suing the Sacklers, who are currently discussing creating a non-profit backed by family financial contributions to combat addiction and drug abuse, said a person familiar with their deliberations. The drugmaker downplayed the possibility of a bankruptcy filing in a Feb. 22 court filing in the Oklahoma case. "Purdue is still here — ready, willing and eager to prove in this Court that the State's claims are baseless," the company said in court papers. Sales of OxyContin and other opioids have fallen amid public concern about their addictive nature, and as restrictions on opioid prescribing have been enacted. OxyContin generated $1.74 billion in sales in 2017, down from $2.6 billion five years earlier, according to the most recent data compiled by Symphony Health Solutions. Purdue CEO Craig Landau has cut hundreds of jobs, stopped marketing opioids to physicians and moved the company toward developing medications for sleep disorders and cancer since taking the helm in 2017. Mortimer D.A. Sackler is the sole member of Purdue's founding family remaining on the company's board, according to records maintained by the Connecticut secretary of state. The Oklahoma case and other lawsuits seek damages from Purdue and other pharmaceutical companies accused of fuelling the opioid crisis. In addition to lawsuits consolidated in an Ohio Federal Court, more than 300 cases are pending in state courts, and dozens of state attorneys general have sued manufacturers, including Purdue.